Malev'lynn was created by D. Floyd French; he's a regular character in this comic strip, and was last seen in A Great Jumping-On Point for New Readers. 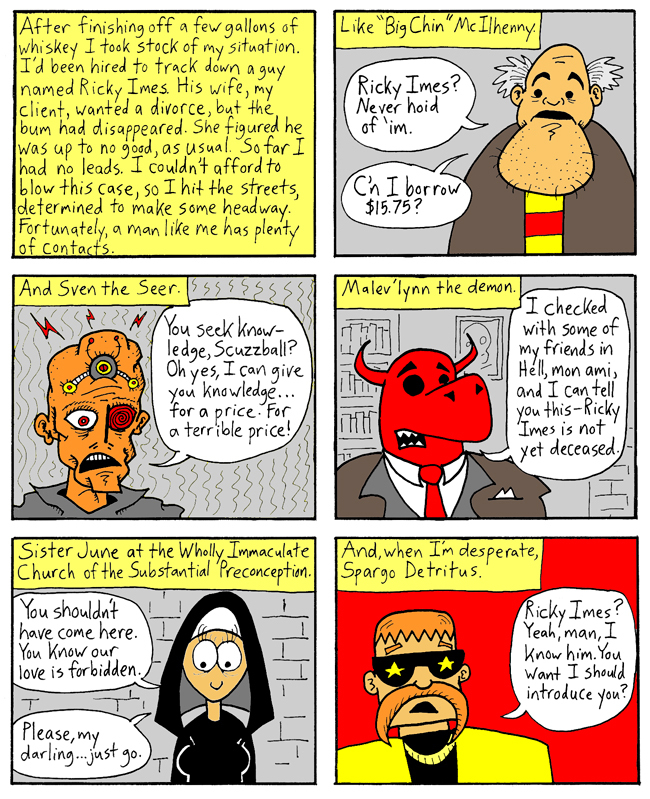 Sister June was co-created by D. Floyd French and me, and while I'm fond of her, she's only appeared in this comic strip once before. The other characters are new. Sven the Seer, for instance, is based on a doodle I drew on a napkin during lunch at work the other day. "The Wholly Immaculate Church of the Substantial Preconception" YES. Best, most accurate name for a church ever. Yes. Thanks! I was proud of that.